ISLAMABAD, Jan 26 (APP):Two Japanese Naval aircraft have arrived in Karachi to participate in Multinational Maritime Exercise AMAN-19 scheduled to start next month. The Pakistan Navy is hosting the 6th series of Multinational Maritime Exercise AMAN-19 in February at Karachi, said a press release issued here. 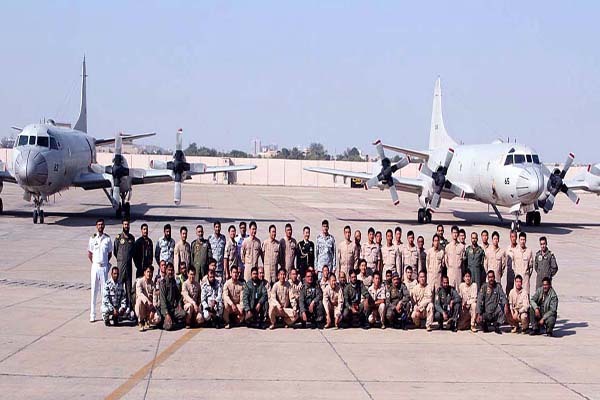 The two Japanese Naval P3C aircraft of Deployed Maritime Force for Anti-Piracy Enforcement (DAPE) visited PNS MEHRAN for Pre AMAN-19 exercise.Their aircrew participated in various events, including Search & Rescue (SAR) and Counter Piracy (CP) Exercises along with the Pakistan Navy aircrew. The Japanese contingent also visited Maritime and PAF museums to learn about PN and PAF historic achievements. senior representatives and dignitaries of Japan.